During last year’s Steyning Stinger Marathon, I filmed a documentary called ‘How to Run a Trail Marathon’. Which you can see here. Consequently my finish time was around 4 hours 45 minutes. My second slowest marathon to date. 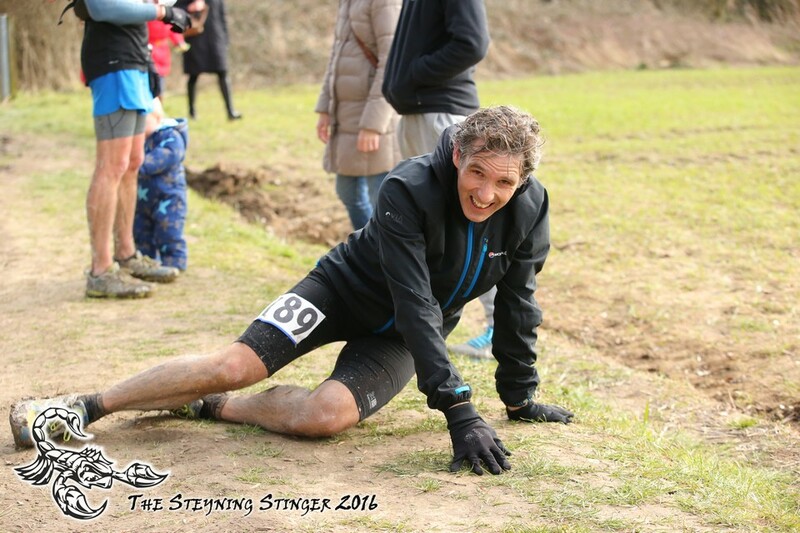 The Steyning Stinger is not an easy trail race and it deserves some respect. It also deserves to be given a good hard effort at least once or twice. It’s very important to me that occasionally I leave the camera at home. I am trying to make this a much more regular occurrence than it currently is. I love running and I do love filming my runs. But it slows me down. 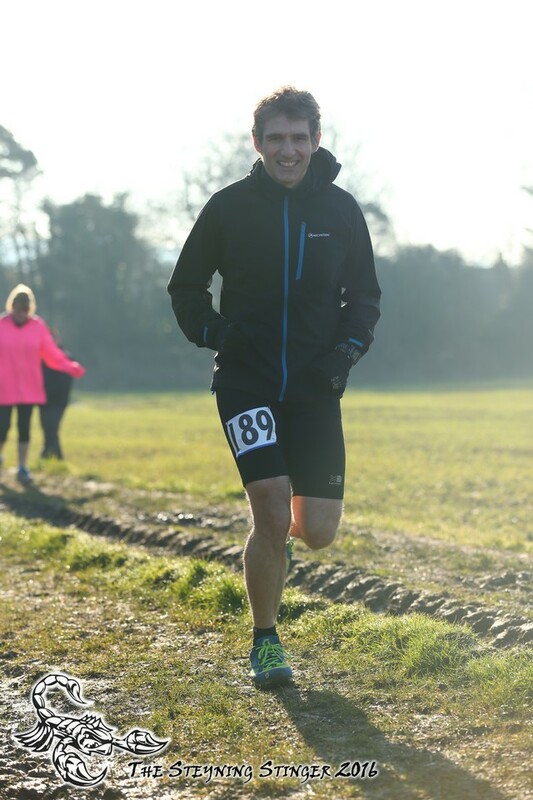 Apart from the weight of the equipment, if I am continually stopping to film the view or slowing down to interview people, it adds a huge chunk to my finish time. Not that this concerns me. 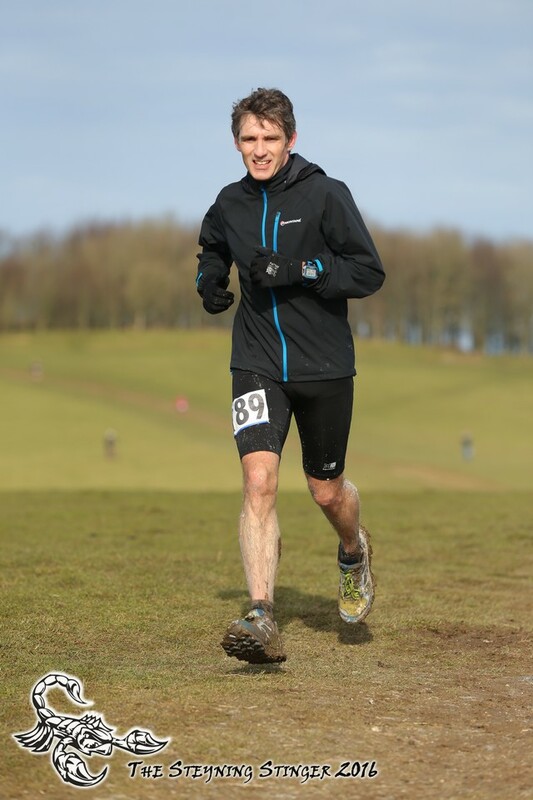 When I set out to film a race, I treat the run as training and I don’t worry about finish time or position. However, I planned that the Steyning Stinger Marathon 2016 would be one of the few races in the year where I would give my all. The camera would stay firmly tucked in my kit bag at home and I would run for a time and a decent placing. And so it was that on March 6th at around 6:30am, I collected Richard in my toy electric car, and we drove to the little village of Steyning, just north of Worthing in West Sussex. 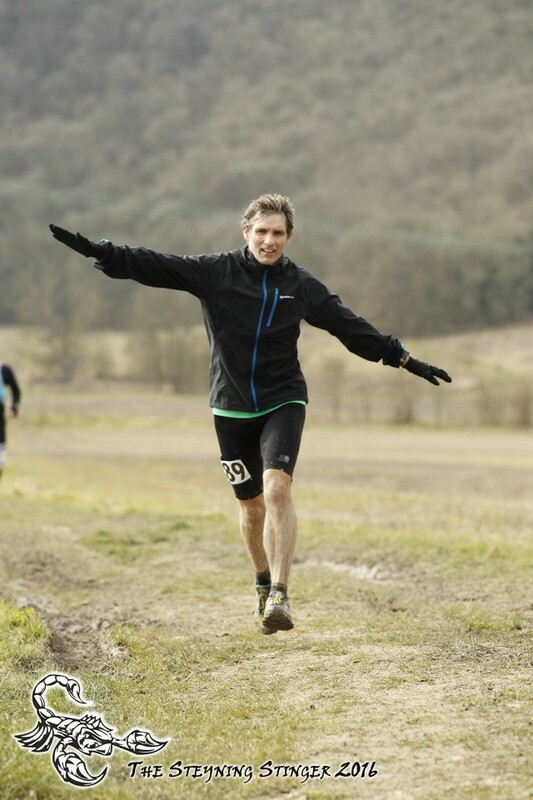 The Steyning Stinger consists of a half and a full marathon. It’s well know for being very tough, with around 2500ft of elevation over three main ‘stings’ up to the top of the South Downs. It’s also well known for giving you a free cooked breakfast at the end. Some consolation for having slogged your guts out for anything from 3 to 7 hours. Registration is in the buildings at Steyning Grammar School next to the leisure centre. The start time for the marathon is flexible let’s say. There is a mass start at 8:30am. But if you are a slower runner you may start early…….in fact, anyone can start early. Richard and I rocked up on the start line with about 10 minutes to go to the mass start and thought, you know what, we could just go now. So off we went. 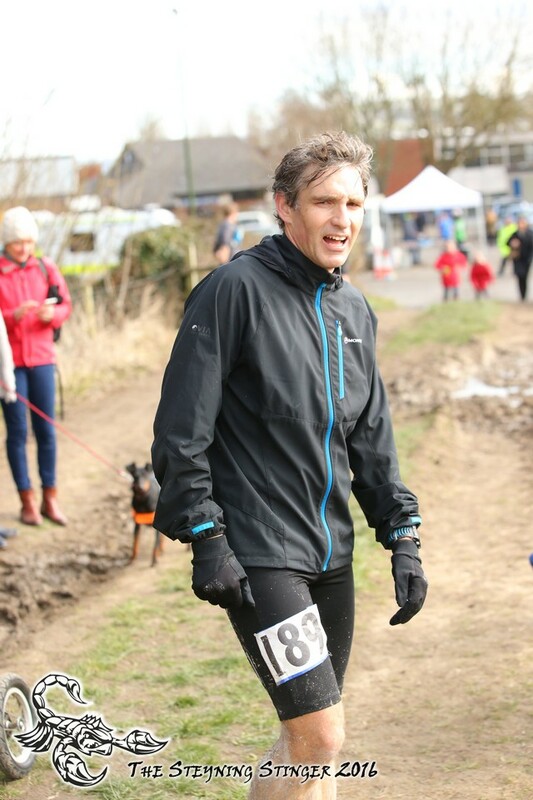 You are set off on the minute after having had your race number taken, so as to make sure everyone gets the correct finish time. The plan was to finish in under 4 hours and to get in the top 20. We had noted that last year 4 hours and 2 minutes was enough to get in the top 20. But last year the mud was really really bad. As usual, Richard and I ran together for about 30 seconds before he went off ahead! He just seems to put in a lot of pace at the outset, which I just can’t live with. Well, I could live with it, but I would be wrecked by 20 miles. I find it more beneficial to start a little slower and still have something in the tank for later. The problem is, most of the time, Richard also still has plenty in the tank at the end. I guess he has relative youth on his side! 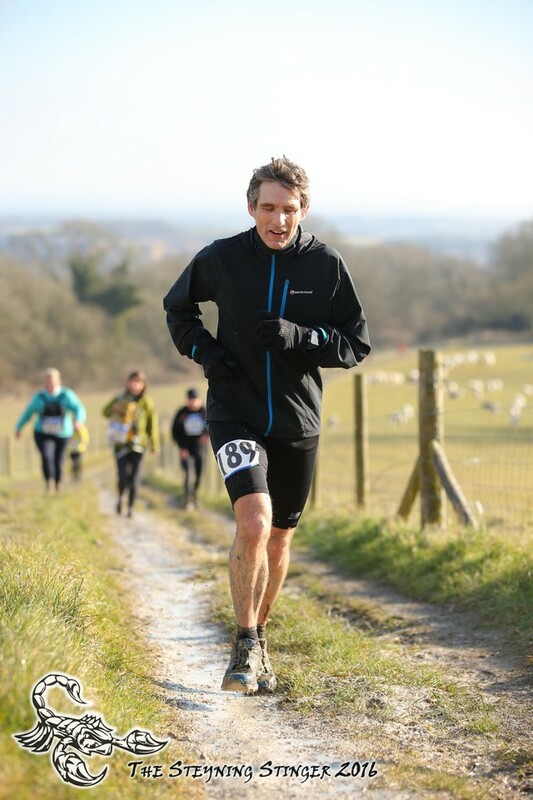 In a change from my usual tactic with hilly trail races, and with half an eye on the monster elevation of the Transvulcania Ultra in May, I decided to try and run up most of the hills of the Steyning Stinger Marathon. It didn’t help that on the first incline I was passed by Stuart Mills. 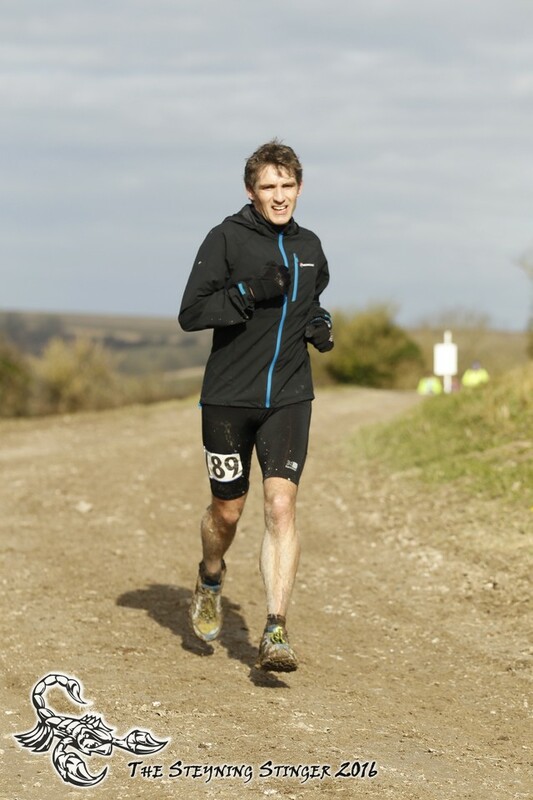 Stuart is a 7 time winner of the Beachy Head Marathon and is also Race Director at Trail Running Sussex. He started with the mass start and had already caught me. Still, I kept going. It was very muddy……not as muddy as 2015, but it still makes it on to the list of the muddiest trail marathons I’ve ever done! However, the weather was beautiful. It was a gorgeous, sunny morning and I was beginning to regret wearing my jacket. 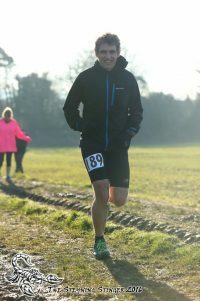 I managed to run all the way up the first long climb which happens just after running through the little village of Washington and crossing the A24 road. The route then brings you back down to cross the A24 again before starting the really long, slow climb up to Chanctonbury Ring Hill Fort. I felt good and again managed to run the entire length of the climb. It really is worth it too because the views are almost always stunning. I say almost because it can cloud over and I recall running the Three Forts Marathon in 2015 over the same stretch and seeing absolutely nothing but fog. 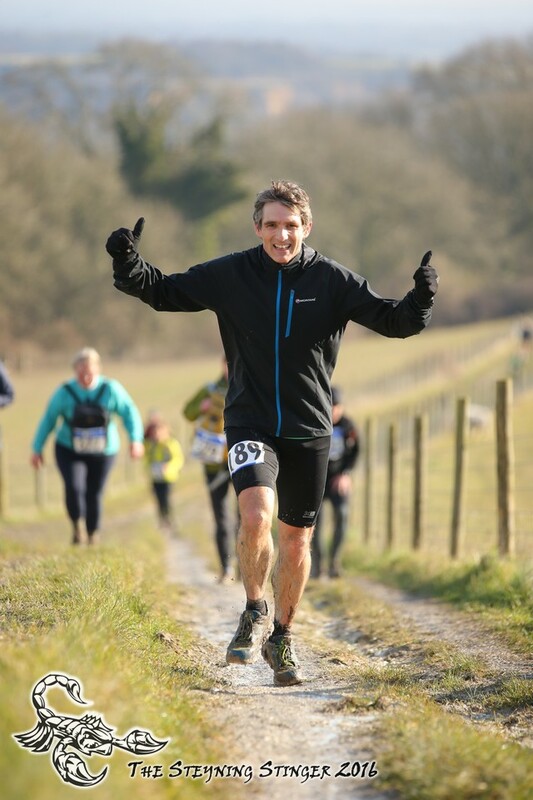 It was great to get a high five from Grant and Gill, from Worthing Harriers, who were out supporting just past the hill fort. From Chanctonbury it’s pretty much a straight run down all the way to Cissbury Ring, round the side and down to Hill Barn Golf Course. I passed my friend Paul Coe on this section, but I was also being passed by a few of the faster runners from the mass start. By now I had eaten my baby food sachet and I was taking a small chunk of Mars Bar at each aid station to keep the glycogen just about topped up. 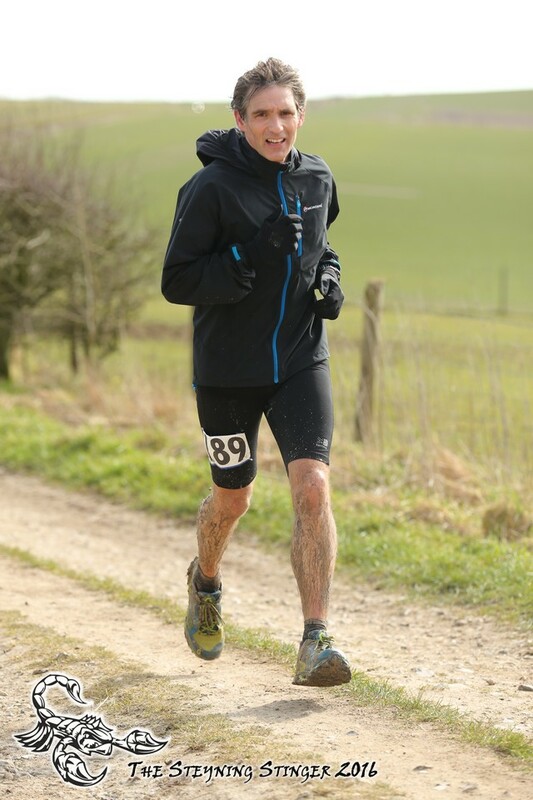 Crossing the golf course at around 15 miles in to the Steyning Stinger Marathon there’s a short sharp climb back up to Cissbury and I got another high five from Grant and Gill at 18 miles heading out to Titch Hill. This is where I began to struggle. 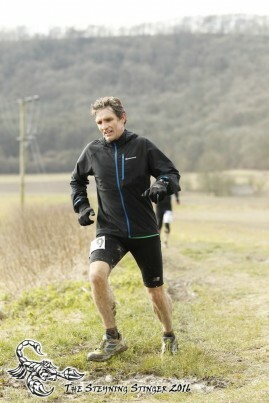 I was beginning to feel tired and the head wind was quite strong. This is when I was glad to be wearing my jacket! I stopped for a wee and ran-walked the incline to the penultimate aid station. One major climb to go, up to the farmers grave, and I was really feeling it. I ran as much as I could but I definitely walked some of this final climb. 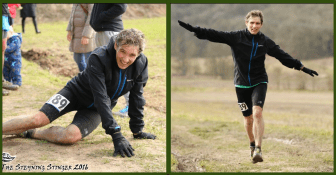 Getting to that final aid station was the hardest part of the race. It was literally all downhill from there. I had been keeping a close eye on my time all the way and I did begin to worry that 4 hours was slipping away somewhat towards the end. 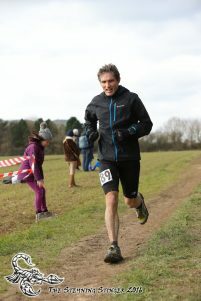 As it was, I managed a good pace on the run in and when it came to it, the distance was marginally short of 26.2 miles. So running to the line I was sprinting to try and make it under 3:55. I didn’t quite get there. My finish time was 3:55:22. So, job done in terms of a sub 4 hour finish. However, Richard had beaten me by 5 minutes. All that remained was to wait for the results to see if I had made the top 20. I couldn’t face the cooked breakfast in the end. I sat with it there looking at me for ages before I decided to leave it and go for a shower in the leisure centre next door. 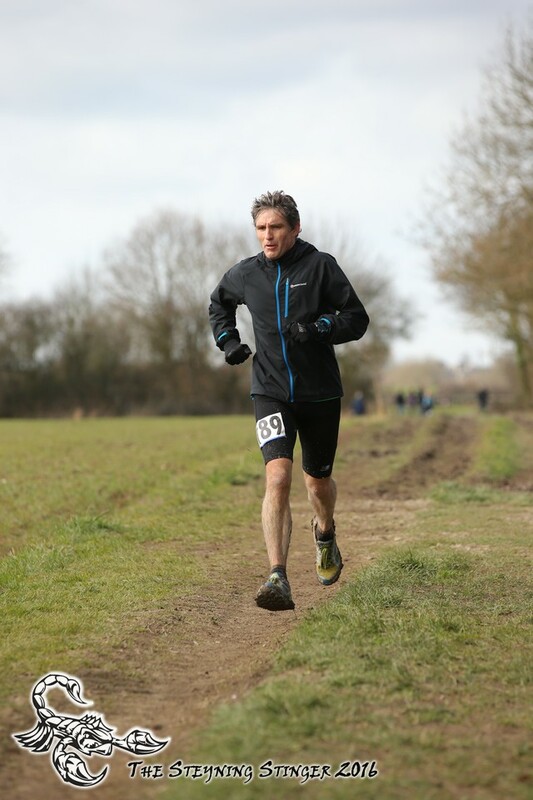 I congratulated Stuart Mills on what I thought was his race win in 3:14, only to discover later that he actually came in second to Jon Pepper. Jon’s time was 3:02. Wow. When the results came in Richard had finished in 15th place…..and me? I just scraped in to the top 20 in 19th position out of the 192 finishers. I honestly think that’s about as good as I could have done. Perhaps I could have forced myself on a little harder in the final 10k, but in all honesty it’s easy to say that after the event. When you’re there in the moment, it’s tough. I did the best I could and I am pretty happy with 19th place. 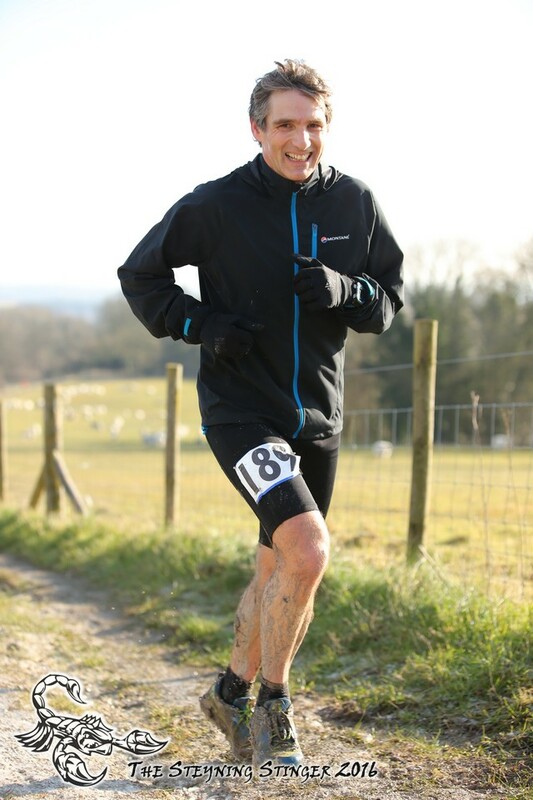 If you have enjoyed reading this Steyning Stinger Marathon race report then please do share it with your friends and those who may be interested in taking part next year. Give it a ‘like’ or a +1 and if you’ve not done so, please do subscribe to the Film My Run YouTube channel by clicking here.